A journey to Costa Brava, with its beautiful coast, delightful hamlets and lovely landscapes wouldn’t be complete without visiting Girona, the capital city of the province. 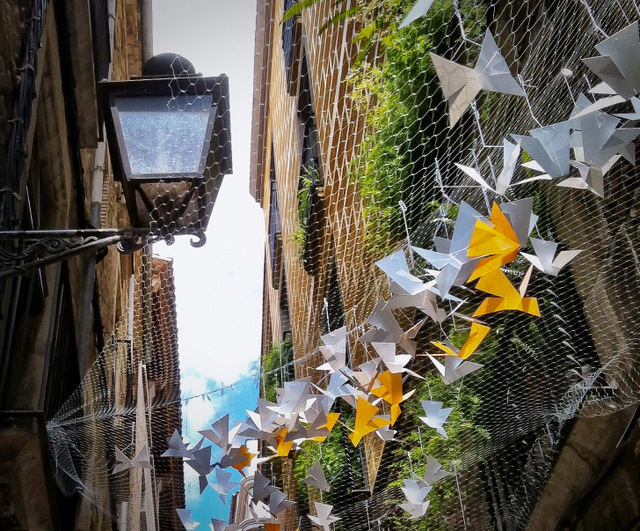 With its tidy and well-preserved historical centre and the relaxed atmosphere, Girona is likely to rapidly win your heart and you might end up spending in the city more time than initially planned. The Barri Vell – Girona’s historical centre – with the tiny streets climbing up the hill, is enchanting and holds the main ancient monuments, encircled by the ancient walls. There’s nothing better than wandering randomly, enjoying every corner, spotting the awesome courtyards, discovering unusual perspectives of the narrow alleys. Sooner or later, you’ll step into the Cathedral, its Baroque façade and the awesome staircase leading to the main entrance. The imposing interior of Girona Cathedral, hosting the largest Gothic nave in the world, is a magnificent example of medieval architecture, as is the cloister whose construction dates back to the 12th Century. The Cathedral enshrines the ‘Creation Tapestry’, a superb piece created during the Roman age which is a must-see. Once left the Cathedral, we explored the tiny cobblestoned street of El Call, Girona’s Jewish Quarter and one of the best preserved in Western Europe. The Museum of Jewish History is small but has nice pieces and is very informative. Here you can admire beautiful old funerary steles and learn more, thanks to very well done explanation boards along the Museum route, about the life of the Jewish people in Girona, from 890 A.D. when the Jewish Quarter started to shape, until 1492, when the Jews were expelled from Girona by will of Isabelle of Castiglia and Ferdinand of Aragona. 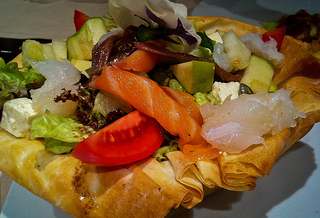 A lovely place for a lunch break is Restaurant Draps, in the heart of the old town, where you can savour delicious dishes in a modern decor and share them with friends. Once inhabited by fishermen, the colourful houses along the river Onyar are one of the iconic images of Girona. A guided tour of Casa Masò, the only famous house bordering the river open to the public, enabled us to discover a wonderful example of modernism. The house, where Catalan architect Rafael Masò was born in 1880, conserves a large part of the original furniture and decorations of the modernism period. Casa Masò is accessible only by private tours for small groups of maximum 8 people and visits can be booked online on the website. Others must-see in Girona are the Arab Baths, the Romanesque Sant Pere de Galligants, the churches of Sant Feliu and Sant Nicolau, and a stroll in Sant Martì neighbourhood. A visit of Girona wouldn’t be complete without a walk along the medieval Walls, from where you can enjoy a spectacular and different perspective on the city. 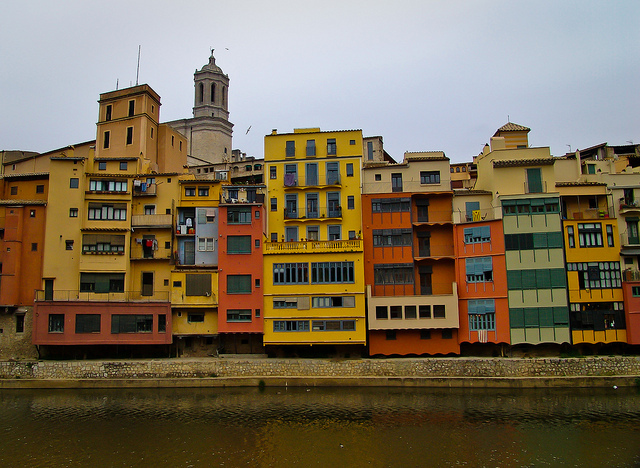 Have you aver visited Girona? What did you like most? Girona Costa Brava Airport is served by low-cost carriers, connecting many European countries (UK, Italy, The Netherlands, Denmark, Slovakia, Ireland, Belgium, Germany, Ukraine, Sweden, Turkey, Cyprus, Malta, Morocco, France, Poland, Estonia and Lithuania). Girona Turisme and Costa Brava Pirineu de Girona Tourism Board are great resources for anything you need to know about the Region. Girona has certainly won my heart. I had no idea about touring Casa Maso, but can’t wait to get back to that beautiful city and do so. also, any recommendations for a place to stay? close to tbex conference? Have a look at the accommodations that have special prices for TBEX Attendees . They vary in prices and location but it’s worth having a look to see if there’s anything that suits you. Cheers. See you in Girona! I can’t wait to get there either! see you there TBEX2012! I can’t wait to get there. Thanks for a great preview Simon! Oh, you’ll love Girona, Rick. And all the rest of Costa Brava. So beautiful and diverse. Thanks to Jaume, Dunia and all the people at Costa Brava Pirineu de Girona Tourism Board I had the loveliest possible time. 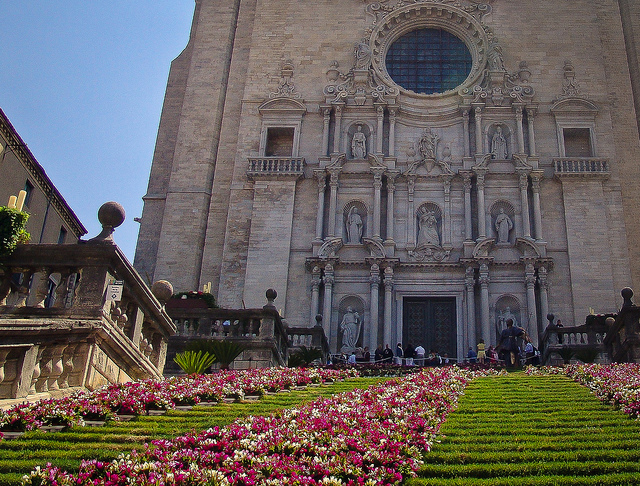 And getting to see Girona during the Flower Festival was really special. See you soon again in Costa Brava, Richard!